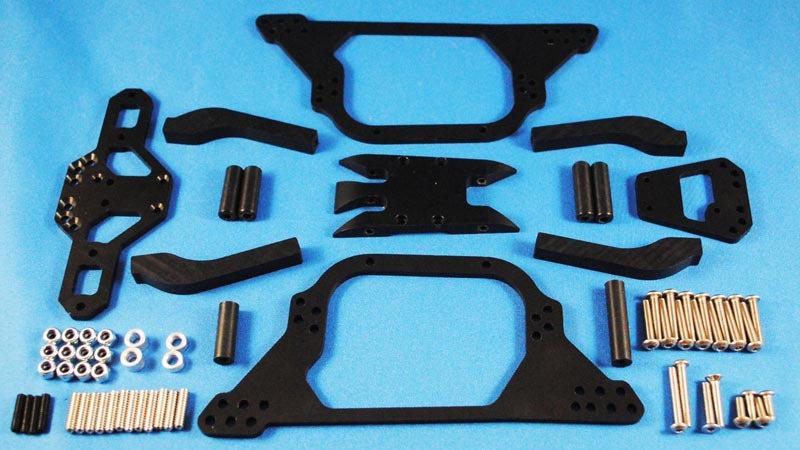 Here is a step by step how to for assembling your newly purchased BWD Losi MRC Mini Wedge Pro Chassis Kit. You can zoom any image by clicking on the lower right corner of the image. 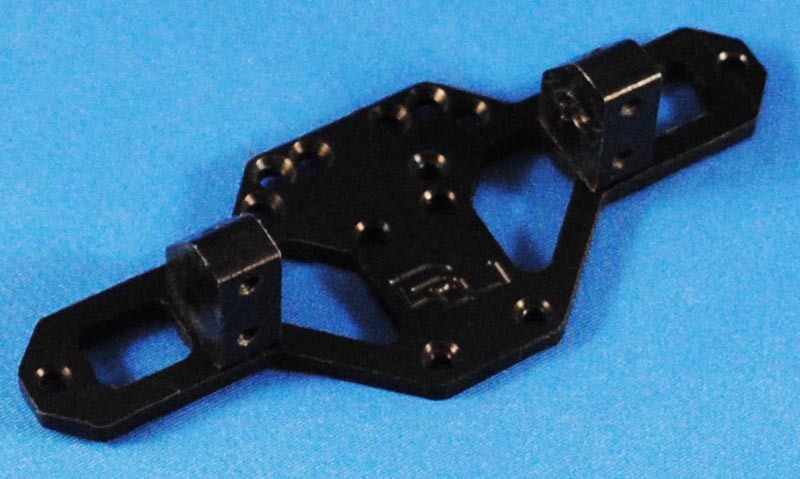 All Mini Wedge kits now include our latest rear upper link mount as standard in the kit. This new mount utilizes 2 of your stock lower links as your new rear upper links. This change eliminated 2 of the delrin upper links, 2x 6-32 set screws, and 2x 3mm set screws as they are not needed. See pic below for the latest rear upper link mount using 2 stock lower links as rear upper links. This change has increased performance on climbs and has proven itself to be a worthwhile upgrade in comps around the country. To ease assembly of your Mini Wedge, we recommend you read through the instructions fully prior to beginning assembly. I upgraded my axles with Losi aluminum knuckles and c’s, and CVD’s up front. I modified my knuckles for zero ackerman by cutting off the stock tie rod mounting point and drilling/tapping new holes in line with the face of the knuckle. If you need help modifying your knuckles, we do offer this as a service, for an additional fee. I also beefed up the axles and transmission with HD lockers and one of our BWD HD Motor Plates. Take the 12x 6-32 set screws and install them into your Stampede rod ends. Take the 4x 3mm set screws and install them into your stock MRC rod ends. Install the rod ends onto the upper and lower links. The 4x stock rod ends will attach to the dog leg end of your lower links (where they connect to the axle). *Note: The lower link rod ends should be in line with the side of the links. The upper link rod ends will be 90 degrees opposed to each other. **Addendum: You will only have 2 round upper links in the kit. You will reuse 2 of your stock lower links as your new rear uppers with traxxas rod ends. 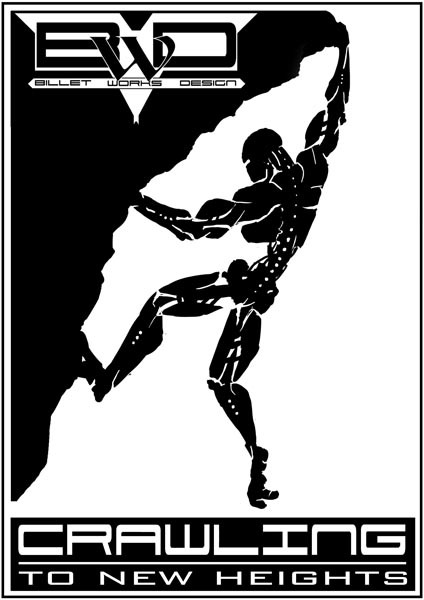 This mod offers improved climbing ability and smoother geometry with plenty of clearance. Install the transmission to the skid plate using the stock hardware. *Note: See image for transmission/skid orientation. Loosely attach the chassis side plates to the skid with the supplied 3x16mm screws. On the rear of the skid, take one screw most of the way in, and leave the other screw flush with the inside of the skid. This will make installing your rear lower links a bit easier! *Note: I like to do this and the following step with the chassis upside down on a good flat surface. This will help make the chassis square while tightening the screws. Install the lower links by placing them as shown and tightening the 4 skid plate screws. Snug is plenty here! 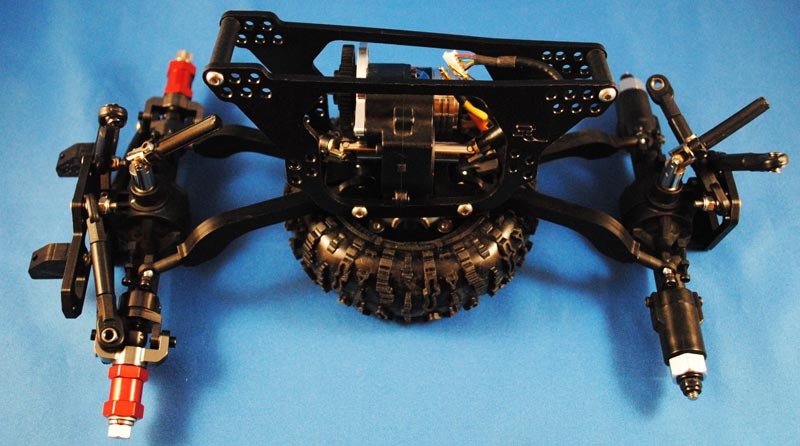 Flip the chassis over and install the chassis braces with the 4 supplied 3x8mm button head screws. The longer brace goes in the front (wider end) of the chassis. *Note: When tightening, make sure you do not twist the chassis. I like to hold it down flat while I finish tightening the screws down. Ok, your base chassis is assembled! Now let’s move on to the axles. Install your steering servo standoffs. *Note: I made my own for this build but they are based on the typical Axial type full size servo standoff. Depending on the standoffs you decide to use and your preferred steering setup, you may need to space the servo to get the horn where it belongs. Now connect the upper links to the upper link mounts using the 3x16mm screws supplied in the kit. *Note: The shorter upper links are the front upper links. The longer ones are for the back. 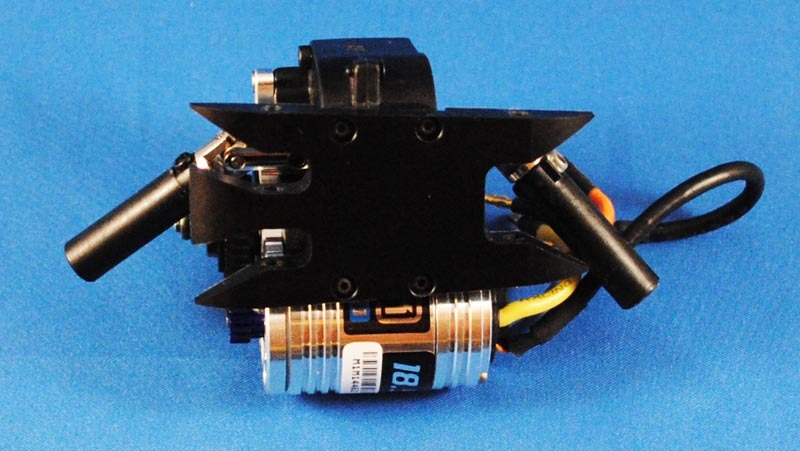 Several of the first kits were shipped prior to countersinking the upper link mounting holes in the servo mount and the 2x 3x16mm flat head screws are missing from the kits. We are sending out an addendum to those of you who were missing this hardware. **Special Note: The best starting point is the bottom side of the mount in the corner holes as shown. This can easily be tuned once the chassis is complete. *** The new rear link mount looks different from the one in the pic below and now uses two fo your stock lower links as your new rear upper links. This change was brought about by our team drivers who found this new setup took the performance of our Mini Wedge to a higher level. This updated chassis mod has walked away with top honors at many comps now. 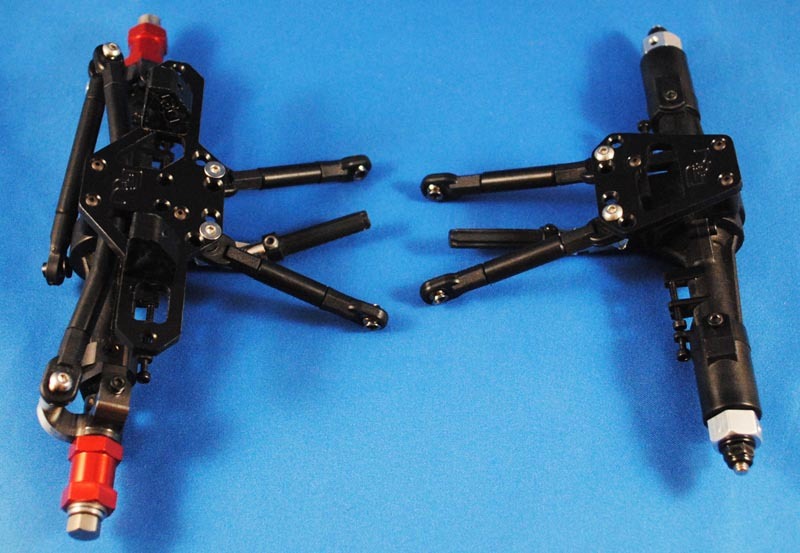 * Above - Addendum: new rear upper link mount and reused stock lower links as rear uppers - in all kits. 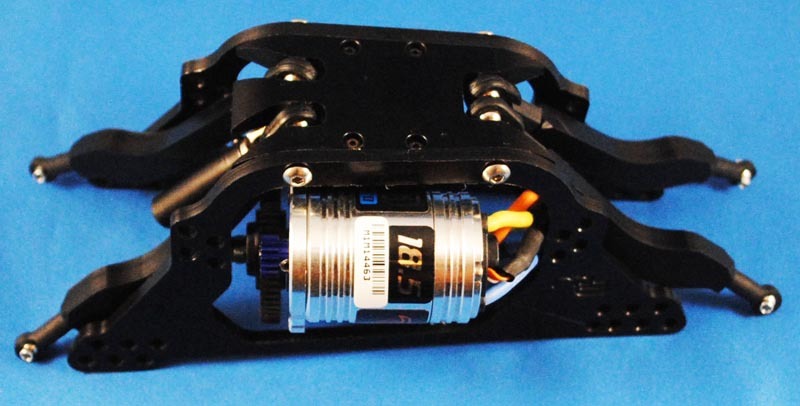 Install the servo mount and upper link mounts to your axles using the factory 2mm hardware. *Note: Be careful not to over-tighten! Also, for an extra low COG (depending on your steering setup) you may opt to trim your axle link mount posts to lower your servo. I did not do that on my build as it would hinder me from running my over the axle tie rod. Ok, your axles are ready and your chassis is assembled…not let’s connect them together. Attach your lower links to the axles using the factory hardware in the lower mounting points on the axles. 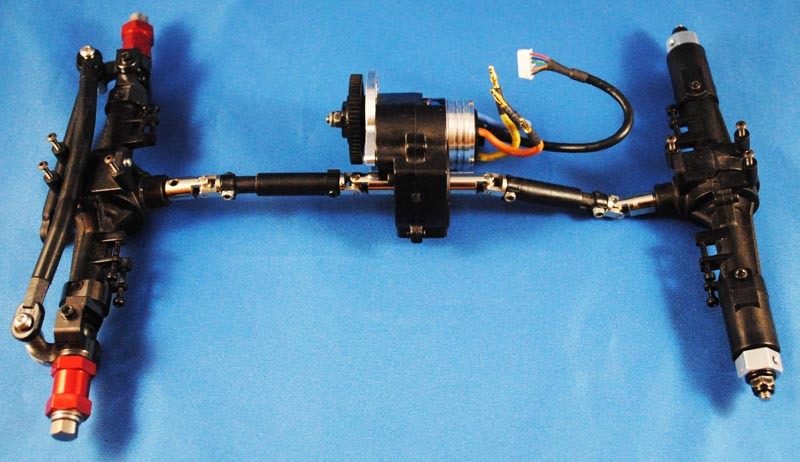 Now slide your drive shafts in place while rotating the axles towards the chassis, and connect your upper links to the chassis sides. *Note: We have found that the optimal starting point is the upper most outer hole on the chassis, for both front and rear upper links. 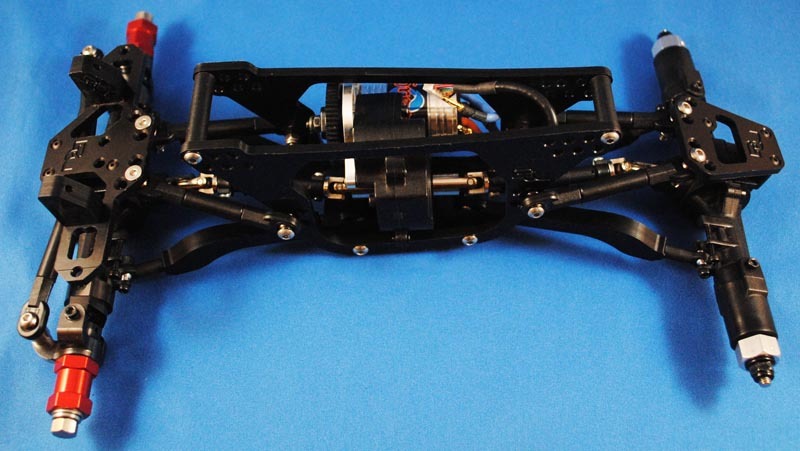 The upper links should connect to the outside of the chassis plates. 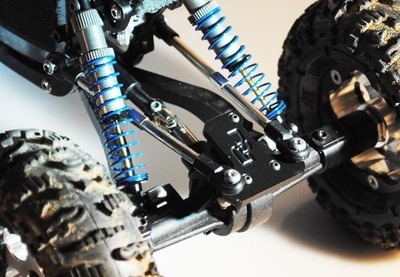 Now install your choice of shocks to the chassis and axles using the supplied 3x16 and 2x20mm hardware and aluminum spacers for the top end of the shocks, and your factory hardware to connect the shocks to the axles. *Note: The thinner aluminum spacers are for the front (wider end) of the chassis. When using Losi Alum MRC shocks like I did, I tapped the stock shock cap bushing to 3mm to accept the supplied hardware. Depending on your choice of shocks, you may have to use other hardware. This chassis offers great adjustability for a number of shocks, and we have used several types including the Duratrax Vendetta shocks on this chassis with no issue. 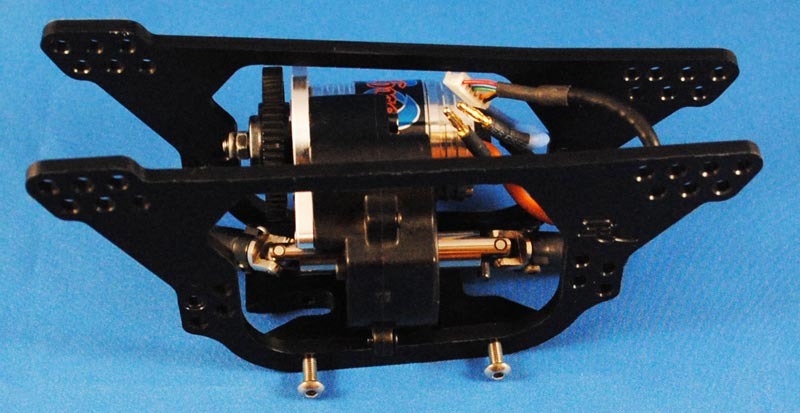 Install your steering servo, and other electronics. *Note: Mounting electronics is tight in this chassis. 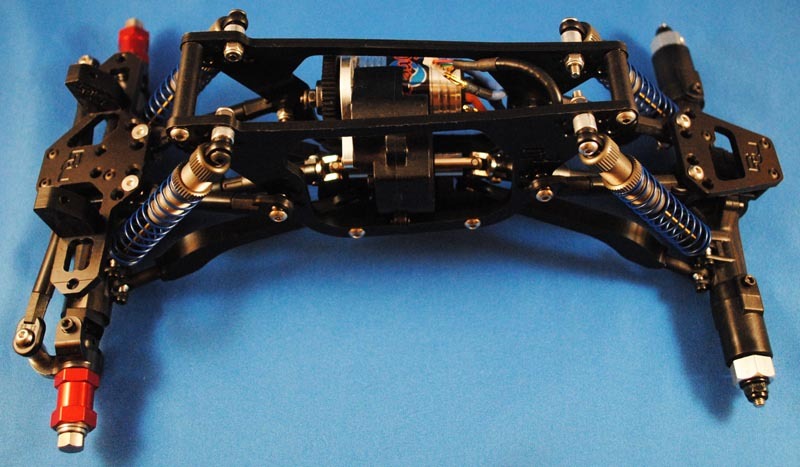 We mount the ESC inside the chassis behind the transmission, and the receiver over the front upper links. For battery mounting, when running 800MAH packs I like to mount it to the side of the chassis opposite the motor. However, my choice pack for competing is a high output 425MAH small pack that will hide on the servo mount. Install your choice of wheels and tires. We have installed our BWD 1.9 Aluminum Vertex Bead-locks (expected to be in stock and available to ship soon) on Losi wide aluminum hexes out back and the GMade wideners up front (found here http://www.tcscrawlers.com/2.2-Wheel-Widener-for-TLT-1-XC-or-CC-01-Pajero-Touareg-p-16233.html). My preferred tire and foam setup on this rig is red dot mini Rovers stuffed with Crawler Innovations dual stage 1.9 foams. Mount up your body and hit the rocks with one of the most innovative 1.9 crawlers around! Would you like to see more info and/or details, please send us some feedback via the contact us page and we will do what we can to make the necessary changes.